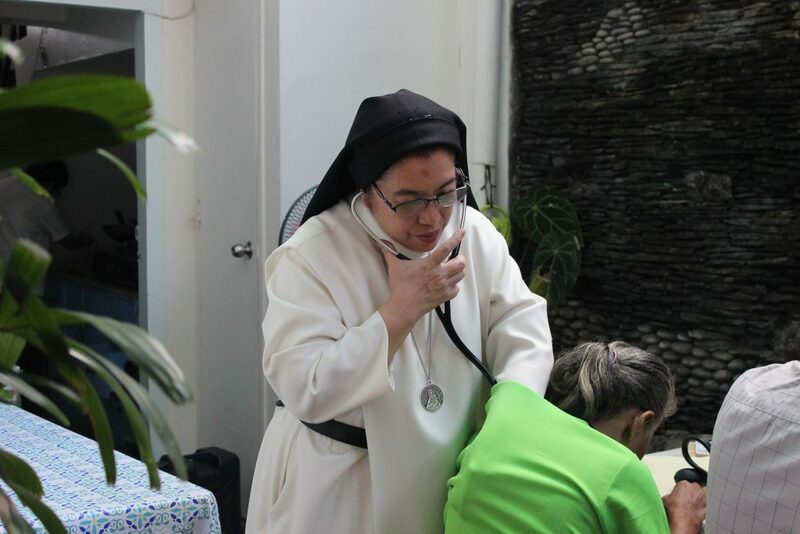 K-Friends are the recipients of the Socio-Pastoral Medical ministry done every Tuesday by the Dominican Sisters of Regina Rosarii. 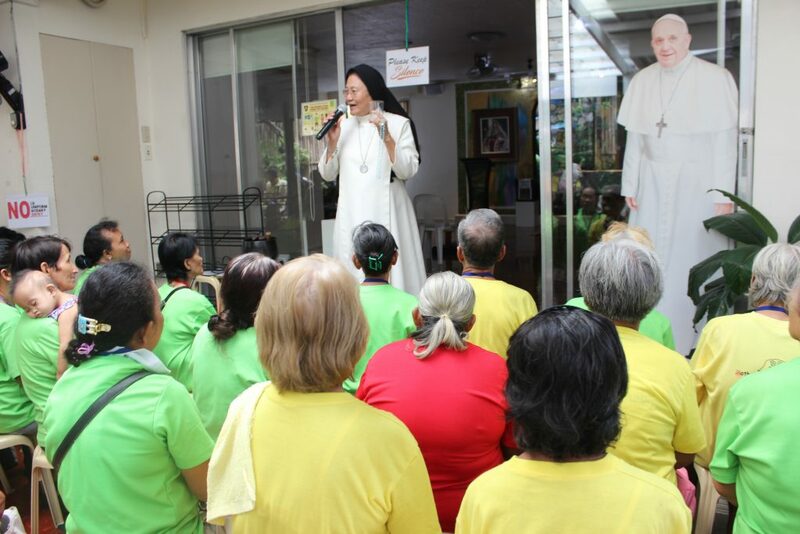 Through her foundress Sr. Eppie Brasil, OP, this ministry began in 2005. They are the homeless families who live in the kalye (street) and sleep on their karton (used cardboards). The kariton (push carts) is their means of livelihood. Our K-friends include the very old who have less chances to work, mothers who have many children thus have to take care of their young, and young ones who do not yet go to school. We teach them values formation; we also teach them contemplative prayer. We give them a venue to share their stories. We also give them medicines. 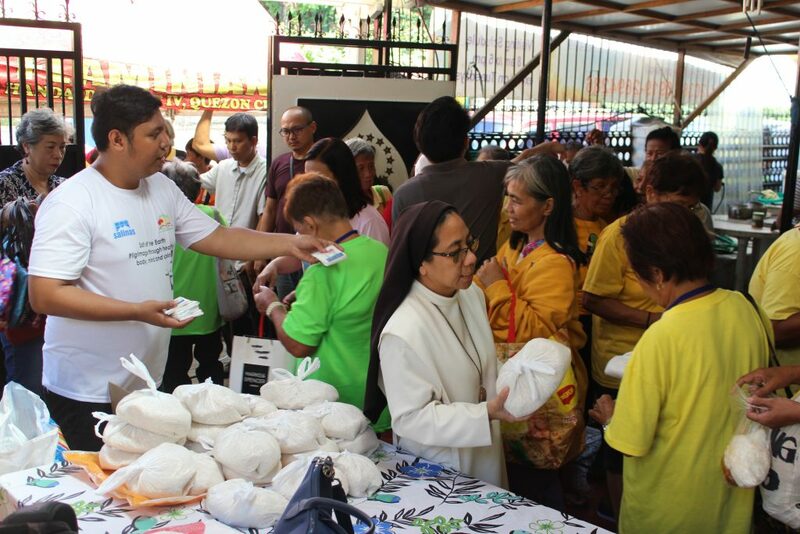 Sr. Eppie Brasil, OP started with just the distribution of lugaw. Then we met Ms. Baby Manahan in 2006 who started feeding them thanks to generosity of the Philippine Goodworks Mission Foundation, Inc. (PGWMFI). We expanded our ministry with medical care and dental care. We are well equipped with volunteer nurses, pharmacists, doctors, and dentists in our team. 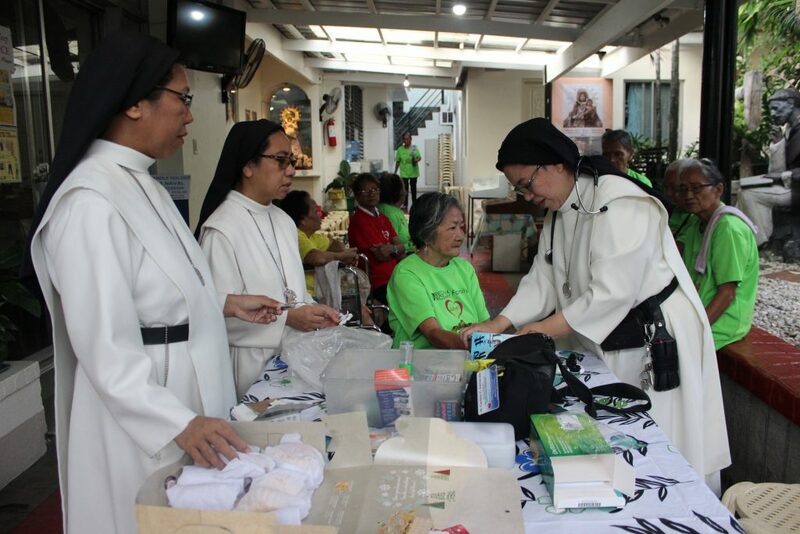 More and more lay members assist and Sr. Eppie call them TRACT – Tuesday Regina Rosarii Assistants for Caring of K-Friends. Ms. Manahan invited the Department of Social Welfare and Development (DSWD) who are now involved in extending pension for the poor which the government started in 2017. Every December, we celebrate Alay Pahalipay with K friends. 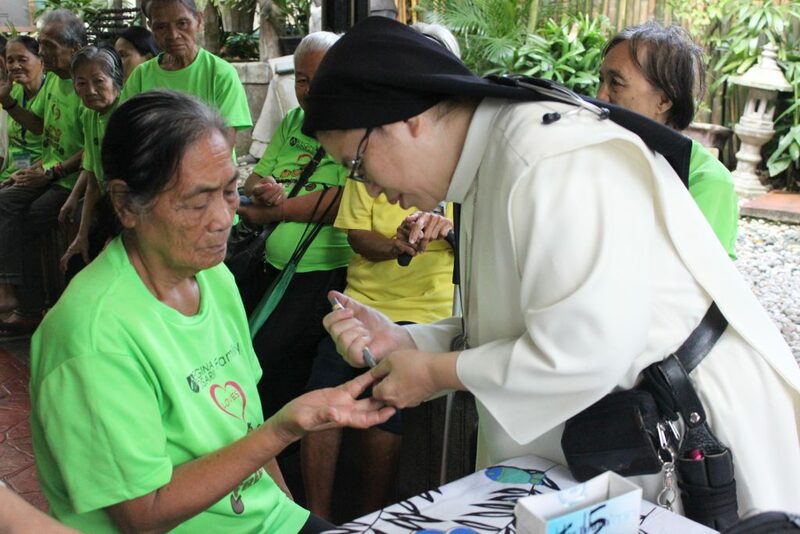 This has become the meeting place of the more affluent lay mission partners who take this opportunity to share their material goods with the poor as well as for the poor to pray with them and other people from all walks of life. Our CHAMP actively participate in sharing their time and talents through the Christmas bear tree to ask for donations. Many of our donors help. Some people, including kids, spend their birthdays sharing their time, talents, and treasures with our poor. On special occasions, Sr Eppie brings our K-friends to RICA in buses that they too may have the opportunity to visit and pray there.